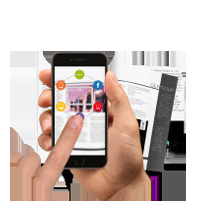 Shake up your printed marketing communication with our Augmented Reality app & software and surprise your clients in an incredible way. 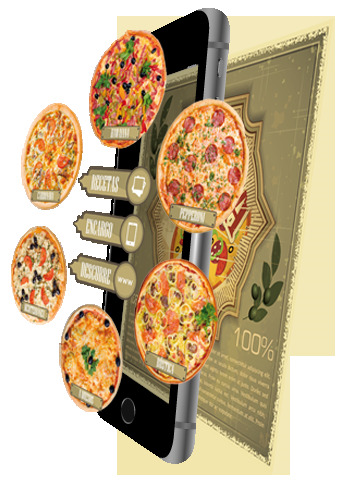 Augmented reality involves adding virtual elements to printed materials allowing you to interact with them in a real environment. 1. Find the tag within the printed materials. Call with the push of a button! View a gallery of imagES, products, technical specifications, special offers, etc. All of which can be updated at any time. View promotional or training videos. Clients can easily download personal information into their smart phone with the push of a button! Instantly access your social networks. 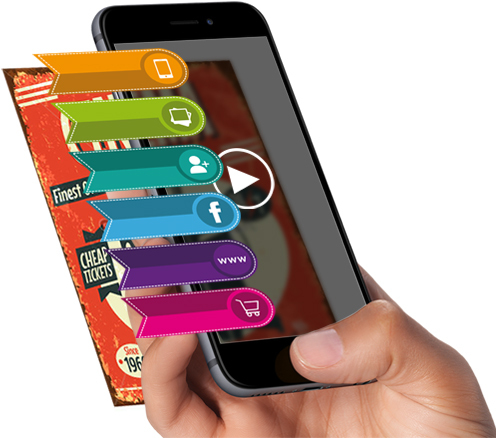 Printed materials with augmented reality provoke a sensation of excitement in your customers which will help you promote the exclusivity of your brand, your products and services. Augmented Reality gives you a great advantage over the rest of the competition, and your printed materials will never go unnoticed again!. Our experience confirms that clients are more likely to remember a brand, product or service when augmented reality components are included. Your clients will help you promote Augmented Reality and most importantly, your business. 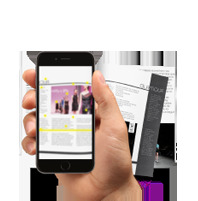 Printed materials with Augmented Reality will position your company as a leader and innovator in the graphic sector. 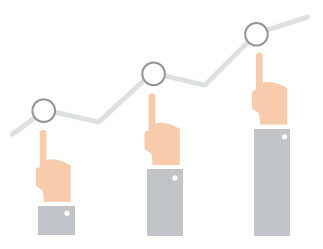 Clickar will allow your company to improve sales through cutting edge technology.